The paper pieced “Para-sails” I made were inspired by the Space Needle layout by Kelly Purkey. When I saw them, I thought the would look great with my para-sailing pictures from Key West! Do you like it? Have you been parasailing? It was amazing! 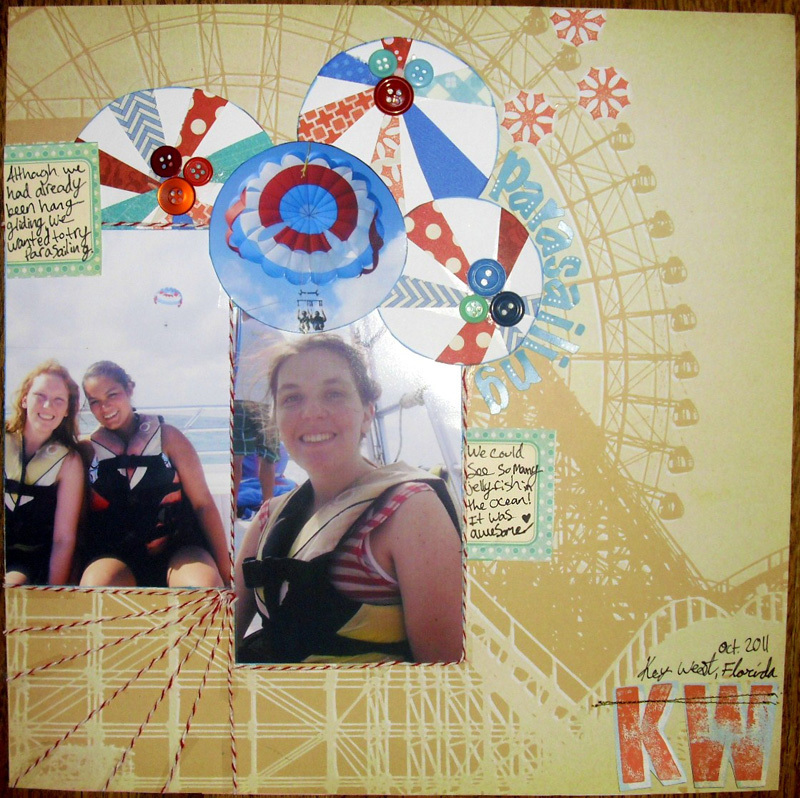 I can’t wait until I get to scrapbook my pictures from Hang Gliding too! Love the background paper and the baker's twine!